Beekeeping with Langstroth beehives gives allows for high honey yields and makes beehive maintenance easier. Beekeepers using Langstroth beehives have the options of buying a hive and maybe assembling it themselves, or building one. This article details how to build a Langstroth beehive and touches on the important features of that make this beehive design style so popular in beekeeping. It also delves into benefits of using a Langstroth beehive in beekeeping. Rev. Lorenzo Lorraine Langstroth came up with the Langstroth beehive and made numerous other discoveries in beekeeping. He contributed a lot to industrialization of beekeeping and its modern practice. Beekeepers have access to two main sizes of Langstroth beehives: 8-frame and 10-frame. Naturally, the 10-frame is wider than the 8-frame. Notwithstanding, 8-frame Langstroth beehives have a higher success rate for wintering bees. It allows the bees to access honey in the beehive easily. Bees form clusters in the winter in a bid to keep warm, and the smaller 8-frame hive allows this cluster to be more compact. Using the right type of wood, good quality materials, appropriate tools and accurate measurements are sure to give you a strong, durable and high quality hive. Use this guide on how to build a Langstroth beehive when making a new home for your honeybee colony. The guide is also great for when you are building a part to replace worn out or damaged parts. Can I start Beekeeping with the Langstroth Beehive I Build? This topic will be broken down into several sections, with each section focusing on how to build a specific component of the Langstroth beehive. This post will serve as the main hub for the series. Building your own Langstroth beehive requires attention to the main and most important parts of the beehive design. These are the outer cover, the inner cover, the hive bodies, the frames and the bottom cover. If you error in any of these important parts, your hive will not give good results when used to house bees. Other features of the beehive that you should consider are water tightness and not allowing light into the beehive. This means that the sides of the beehive should not have any cracks. Frames in a Langstroth beehive are a feature you should pay keen attention to. The frames should easily movable and not be squeezed in the individual boxes. Ease of removal and separation of the frames from all adjacent beehive parts is key to the proper working of your Langstroth beehive. Extraction of the frame and the honey in it does not require the frame to be cut. With modern honey extractors, you are able to reuse your beehive frames with intact honeycomb. This allows your honey bees to focus on filling comb with honey and capping it. You save bees the time and resources that would go into building fresh honeycomb. The best Langstroth beehives are built using wood. This is because bees show preference for wooden beehives, as it is more reminiscent of their home in the wild. You have the choice of using different types of wood in your construction. The best woods for making beehives are: cedar, pine, cypress, spruce and fir. The location you are at influences the wood available for your use in building a Langstroth beehive. Additionally, the cost and durability of the wood also affects the choice of wood. Pine is perhaps the most used wood for Langstroth beehives. It is cost-effective and easy to work with. Pine wood can be knotty or clear. It is easier to work with clear pine wood but it comes at a higher price than knotty pine wood. Clear pine wood is great for a defect-free and nice looking Langstroth beehive. 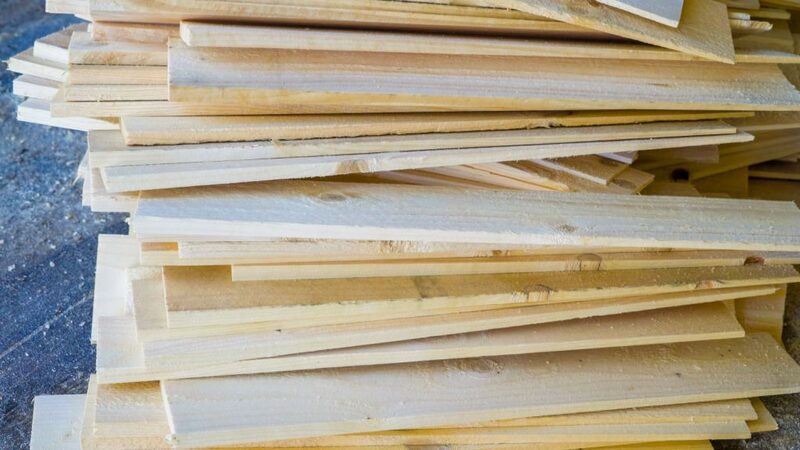 The durability of pine wood pales when compared to other types of wood. Langstroth beehives made using pine wood need protection using some exterior polyurethane, marine varnish or a few coats of paint that is of outdoor quality. Cypress is terrific for when you are building a Langstroth beehive. It has natural oil in it that keeps the wood preserved. It also naturally repels mold and insects. Cypress also gives beautiful beehives that are aesthetically pleasing. Cedar has a great smell and is beautiful wood. It does not warp easily or rot. Beehives made using cedar wood are not easily infested by bugs. Cedar is unfortunately priced higher than most other wood types suitable for a Langstroth beehive. You can paint your cedar beehive or leave it untreated so it weathers to a light gray color. Spruce and fir are stud timbers. They are not great for the exterior of the beehive but are excellent for beehive frames. Make sure to used dry lumber to build your Langstroth beehive. Using wet lumber requires you to leave allowance for shrinkage. This allowance must be more across the grain since that is where shrinkage occurs most. Beekeepers may use reclaimed wood to build a Langstroth beehive. When you use reclaimed wood, make sure it is strong and does not harbor any pests. You should also dust the wood with powder or antiseptic to kill any microorganisms that may be on the wood. The Langstroth beehive straddles beekeeping in a giant way. It is the most common hive in beginner, professional and commercial beekeeping. The beehive is vertically designed with hung frames. It utilizes and inner cover and top cap to provide protection from the weather. Langstroth beehives work on the principle that bees do not draw out comb or seal with propolis spaces between 6 to 9 mm. As we mentioned above, there are 2 sizes of the Langstroth beehive: 8-frame and 10-frame. The 10-frame Langstroth beehives have a total height that is lower than 8-frame beehives. They also give bees two more frames of honey or brood space in each box. The 10 frame hives allow for fewer boxes be set up in the apiary. Additionally, there are fewer boxes to go through during hive inspections. Many size-specific accessories in beekeeping are made for the 10-frame Langstroth beehive. On the other hand, 10-frame beehives are heavier than 8-frame beehive boxes. In some cases, bees also tend to not use the 2 extra frames on each end of the beehive boxes. There is significant risk of injury to beekeepers lifting heavy deep boxes. The 8-frame Langstroth beehives allows beekeepers to fit many hives within small areas. It has lower total weight than its 10-frame counterpart. There is thus reduced risk of injury when lifting the boxes in an 8-frame setup. Bees tend to use up honey in an 8-frame beehive better and move to fresh honey resources easily. On the flip side, 8-frame beehive setups can be too high. Strong storms may tip over the hive. The setup also requires beekeepers to purchase more boxes than the 10-frame. Many suppliers of beekeeping equipment and accessories may not have 8-frame specialized equipment. With an 8-frame Langstroth beehive, you have many boxes to move during beehive inspections and honey harvesting. Given these advantages and shortcomings of 8-frame and 10-frame beehives, the setup that you begin your apiary with should be considered carefully. This is because it is difficult to change setups later on. It is not easy to use both sizes of beehives in the same apiary. Compatibility issues prevent successful mixing and matching of the two Langstroth beehive sizes. Depth of a deep hive box is 240 mm. Interior length of a deep hive box is 470 mm. Width of the 10-frame deep hive box is 370 mm. Width of the 8-frame deep box is 310 mm. For medium boxes, the depth is 170 mm. For shallow boxes, the depth is 144 mm. Beehive boxes have rebated sides. A rabbet or rebate is a groove cut at the inner edges of the beehive boxes. They allow frames, the bottom board, queen excluder and the top cover to rest in the boxes. Deep hive box frames measure 480 mm in length, are 230 mm deep and are 35 mm wide. Medium hive box frames are 480 mm long, 160 mm deep and 35 mm wide. Shallow hive box frames are 480 mm long, 140 mm deep and 35 mm wide. Though personal practices will vary, deep hive boxes are generally not suitable for use as honey supers. They become too heavy to lift when full of honey. As such, medium depth boxes are best for use as honey supers. They have adequate volume to hold a large amount of honey while not being too heavy for beekeepers to lift. 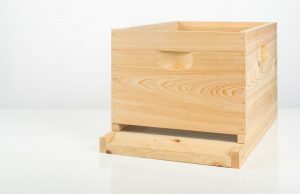 Shallow boxes hold little honey and are thus not suitable for use as honey supers in commercial beekeeping using Langstroth beehives. Super boxes are the honey storage boxes in the beehive you build. The popular size of the super box is the medium depth super box. Using a queen excluder gives you true honey super boxes. They are often stacked towards the top of the Langstroth beehive. Super boxes should be checked regularly checked for honey stocks during honey flow season. When you harvest honey, be sure to leave at least one super box untouched for the honeybees to use as food reserves. These are the beehive boxes where the honeybee colony raises its young. Eggs are laid in cells in the brood boxes and the bees take care of them until they hatch and go through metamorphosis to adult bees. Most beekeepers have 2 brood boxes per Langstroth beehive stack in their apiaries. Deep boxes are the best for brood boxes. Honeybees are not well suited by shallow boxes during winter. Some beekeepers use medium depth boxes across all sections of their Langstroth beehives. A beehive frame is largely wood and forms a very important part of a Langstroth beehive. When building your own Langstroth beehive, make nice frames using strong wood that will last for long. Langstroth beehive frames are separate from adjacent parts of the beehive. They are therefore easy to insert and remove from the hive. The frames you make when you build a Langstroth beehive often last for long since they are not exposed to the elements. You may switch frames between bee hive boxes of the same size. Building Langstroth beehive frames demands that the beekeeper makes a number of complex cuts and joints. Do not be afraid of buying beehive frames after you build a Langstroth beehive. A few trials with errors will be required before you can make perfect frames that can be successfully used in a Langstroth beehive. Beekeepers may use foundation and wired frames. Wiring frames adds strength and stability to comb. They do not break easily even when subjected to the centrifugal forces of a honey extractor, Of course, radial honey extractors are better at leaving honeycomb intact than tangential honey extractors. Before wiring your frames, consider whether you will sell honey unextracted in the honeycomb, or after extracting it. Foundation on Langstroth beehive frames makes it easier for honeybees to draw comb on the frames. It can be wax foundation or plastic foundation. Click here to read our guide on how to wire a beehive frame. The queen excluder is a large frame-like part of a Langstroth beehive with a screen. The mesh of the screen is big enough to allow worker and drone bees through, but too small for the queen bee to go through. As a result, the queen excluder keeps the queen from accessing some parts of the beehive to lay eggs. Where eggs are not laid, worker bees store honey in the beehive. This single item in a Langstroth beehive is responsible for the separation of brooding and honey storage sections of the beehive. It allows beekeepers to harvest honey from comb that is free of bee eggs and brood. The top cover on a Langstroth beehive is responsible for covering the beehive. The cover helps regulate temperatures and prevents bees from attaching the roof of the hive to the top box using propolis. Some beekeepers have an upper beehive entrance through the top cover. This entrance is however not favored by other beekeepers due to its potential to be used as an entry route by pests and predators. Having a top and bottom entrance requires your honeybee colony to guard two entrances – and they may not do it very well! To keep a ventilation hole in the top cover and keep predators out, use a mesh that cannot allow bees or other insects and small animals through it. To keep the elements outside the beehive, make a telescoping roof. You may use a metal sheet, galvanized steel or other suitable material for the telescoping roof. The telescoping roof uses a 17.5 x 22 x 3 inches frame. Make sure to prime and paint the roof of your Langstroth beehive. Another option used on roofing the beehive is a slanting roof. The slope in a slanting roof improves drainage of rain water and snow down and away from the hive. Beekeepers may use hinges on their outer Langstroth Beehive covers for easier opening of the hive. The bottom board of a Langstroth beehive sits on the stand and makes up the lowest part of the beehive. It can be screened or solid. Screened bottom boards are great for assessment for mite infestations and control. The bottom board incorporates the entrance of the beehive. Beekeepers in some regions use both the screened and solid bottom boards. In the warm seasons, they deploy screened bottom boards in their Langstroth beehives to help with aeration and temperature regulation in the beehive. They remove them during cold seasons of the year. During winter, beehives are best suited by solid bottom boards. An entrance reducer at the bottom of the beehive improves beehive security. It leaves small spaces that are easy for bees to guard. Entrance reducers have different sizes of entrance holes. The entrance used varies depending on the season and the number of bees in your honeybee colony. Some pest and disease control methods work at the entry of the beehive. An entrance reducer is great for when you are applying treatments to the beehive. Bees come into contact with the treatment at the entrance and spread it into the beehive. While not a part of the beehive itself, you should construct a stand that is sturdy enough to take the weight of your beehive with bees and honey in it. The stand should be wide enough and can incorporate defensive features to keep bees safe. Beekeepers use metal and wood for the stand. Metal stands are durable and less bulky than wooden stands. Stands for Langstroth beehives may be modified to have frame holders, feeding and watering points for bees. Additionally, having a downward facing rodent guard keeps some predators of honeybees out of the beehive. Click here to read our guide on how to build a hive stand. Once you have settled on the size of the Langstroth beehive you want for your apiary, it is time to collect the materials you need and the equipment required to make the beehive. As mentioned, wood is the preferred material, so you will need wood working tools and equipment. Box nails measuring 50 mm are recommended for building the beehive bottom boards, super boxes and covers. If you have a staple gun, you may use it to put together the different pieces of the beehive. Do not use tacks. Screws give you maximum durability when you use them. For better strength at the joints, use metal rests. These are nailed into end pieces using 16 mm nails. You may also glue pieces together for additional strength. Metal parts of the hive include frame rests and the top cover. You can use aluminum, galvanized iron, or any other suitable metal. To make each of the Langstroth beehive components, measure out the wood you need for the piece and cut it to appropriate lengths. The joints you use vary depending on your preference, but they have to be strong and accurate. A clamp comes in handy to hold some pieces together for better accuracy in arrangement and joining pieces of wood together. It is recommended that you leave the queen excluder out of the beehive for the first year of the honeybee colony living in an individual beehive. 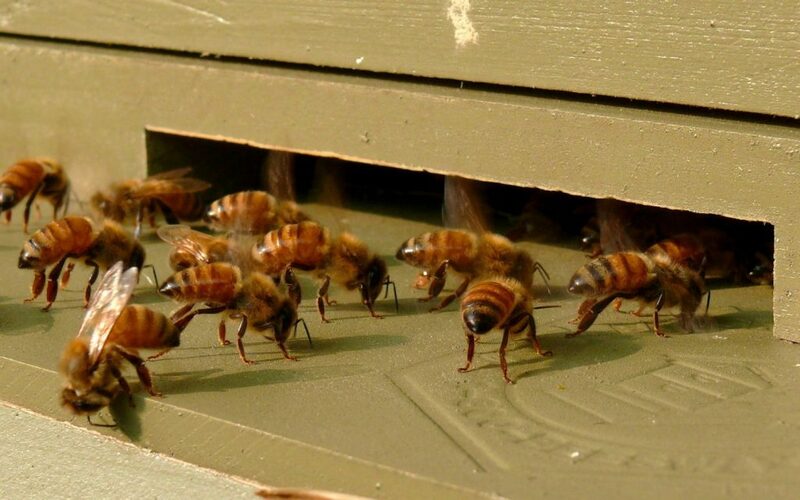 This is because queen excluders have been found to restrict movement of bees in the beehive. It is thus best to allow bees in the colony unrestricted movement in the hive for the first year as it grows its strength and starts storing honey. A Langstroth beehive may have observation ports on the sides of beehive boxes. Transparent food grade materials must be used to make the viewing port. Additionally, the port must be closable so that light does not enter the hive continuously. When not using the port to look inside the hive, close it. A viewing port in a Langstroth beehive allows for quick inspection of the beehive without the beekeeper having to open up the entire beehive. You may also cut handles into the sides of the boxes you make for your Langstroth beehive. The handles make it easier to grasp and lift the boxes when you need to. The depth of the handles should not exceed 16 mm into the wood. Some beekeepers want to harvest pollen from the beehive they build. This is achieved using a pollen trap that is held using wooden slats at a height of 25 mm above the bottom board. The trap consists of a pollen barrier, a tray, bee lifts and drone escapes. A pollen tray uses wood and a piece of nylon mesh or fine cloth. Pollen remains dry in the trap and is emptied every 2-3 days. A galvanized steel screen prevents bees from accessing the pollen. The pollen barrier in the trap is made of two screens places 6-8 mm apart. The screens are made of galvanized steel. This barrier can be pulled out of the trap, so it is smaller than the upper side of the trap. On one end of the barrier, drone escapes are cut to let bees out of the trap. The edges of the pollen barrier should be greased lightly to prevent propolization by bees. The bee lifts are slats of wood that help bees climb up and out of the pollen trap. They are placed in a diagonal axis in the trap and extend upwards just above the pollen barrier. Drone or bee escapes allow bees to go through the pollen trap without going through the screens in the pollen barrier. Two 25 mm holes are drilled through the front rims of the main pollen trap and the pollen barrier, Two V-shaped notches connect the drilled holes and the pollen barrier frame front edge. Bees easily move out through these escape holes but cannot move back into the hive through the escapes. Pollen yields in your beehive will vary by season and abundance of flowers. In some regions, beekeepers collect up to 0.45 kg of pollen in a day. Even with a pollen trap, some pollen still passes through the trap. There is no significant difference in the honey production and brood rearing of honeybee colonies even when a pollen trap is used in the hive throughout a whole season. Information about Langstroth beehives is readily available to beekeepers. They can easily get in touch with other beekeepers using the beehives at clubs. A lot of information about beehives and beekeeping available today is about beekeeping with the Langstroth beehive. Components of Langstroth beehives are interchangeable. If you come across a component that is difficult to build yourself, you can easily buy it from beekeeping equipment sellers. The dimensions of each component of a Langstroth beehive are standardized across the world. It is thus easy for beekeepers to build their own Langstroth beehives or assemble one – sometimes using components from different manufacturers. Langstroth beehives have consistency due to the interchangeability of components. This consistency is seen across manufacturers and brings economy of scale. The result is a drop in the prices of Langstroth beehives and their components to a very reasonable level over time. The Langstroth design gives the best honey yields per space available in the beehive. Langstroth beehives generate high honey yields due to the dimensions of the beehive. It is also expandable – adding to the space available for bees and honey storage. Beekeepers may stack more boxes above existing ones to add space in a Langstroth beehive. After you build a Langstroth beehive, you may paint it. Use good quality latex paint in the base coat. The exterior coat should also be of latex paint. When you do not have paint, a wood stain can be used on the wooded exterior surfaces of the beehive. A third method you can use to preserve the wooden parts is dipping in hot paraffin for a few minutes. Langstroth beehive boxes should be painted, or dipped in paraffin, or stained again after every several years. Beekeepers building a Langstroth beehive should not apply stains, paraffin or paint the insides of the beehive. In hot regions, white paint on the exterior of the beehive helps keep the hive cool. The Langstroth beehive you build is suitable for use in beekeeping if it meets integrity requirements. It is recommended that you start with either 2 deep boxes or 3 medium depth beehive boxes. Your preference for maneuverability and modularity determines if you will go for 2 or 3 boxes in the starting hive. Build a healthy mix of deep, medium and a few shallow boxes. A shallow box or two for every beehive stack you have is enough. Beehives largely use deep and medium depth boxes. 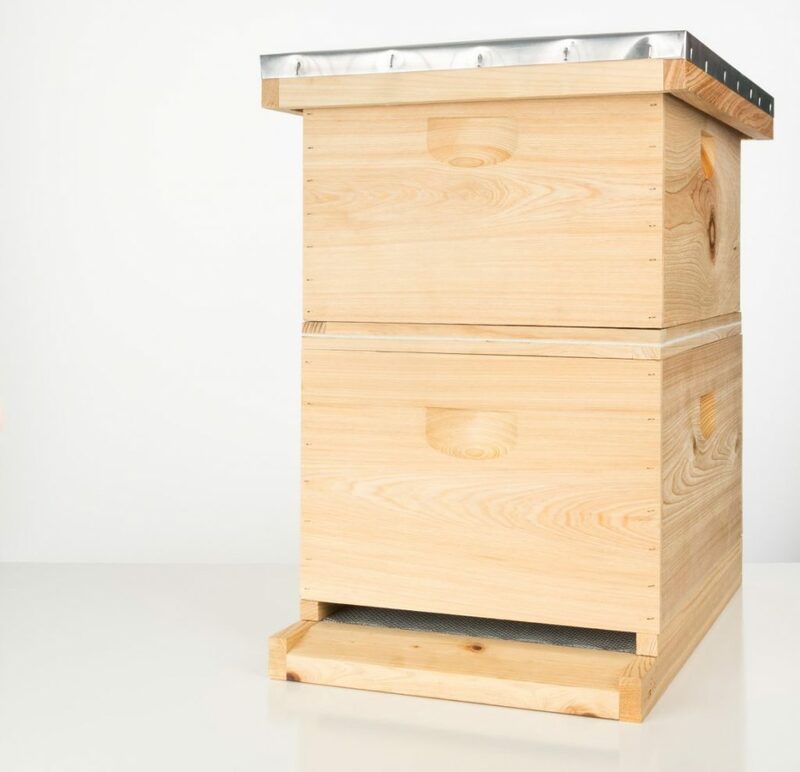 When building your Langstroth beehive, consider using two deep boxes as brood boxes and two or three medium depth boxes as honey super boxes. Deep boxes can weigh up to 20 lbs more than medium boxes. 8-frame medium depth boxes give a good balance of weight and maneuverability while providing ample space for honeybee colony activities. If you make shallow boxes as you build a Langstroth beehive, they will find great use enclosing feeders and other beehive accessories. You cannot use shallow boxes to expand the hive. After you have built a Langstroth beehive, you will need to bring in bees. Beekeepers use two methods to get bees for their new beehive. They may buy package bees or bees from a hive split by other beekeepers. Optionally, a beekeeper can trap a swarm and put it into the new beehive. Different types of traps and lures are used to attract the attention of scout bees. You may trap bees directly into a beehive, but this has limited chances of success. It is best done by experienced beekeepers who know how to make a great swarm lure. Building a Langstroth beehive is a very fulfilling project. It can be done by both professional and beginner beekeepers with a DIY passion. The tools required are few and it does not need you to be a highly skilled wood worker. Be sure to pay keen attention to the fabrication of finger joints in the Langstroth beehive. Combined with tin-work bending corners of metal parts of the beehive, as they make the most difficult part in building a Langstroth beehive.